When Charis was born, I had swaddling blankets, but they were made out of flannel and were only 28 inches X 28 inches. It was hard to swaddle her since they were on the smaller side, and she was 9+ lbs. Plus flannel was thicker than I wanted it for a summer baby. When I found out I was pregnant and expecting a baby whould would arrive shortly before summer, I knew I wanted to find something different. Lambie & Me is a mom owned business; it was started by Tricia. Currently they offer bibs, swaddling blankets, and more. The only prints they offer for their swaddling blankets are: Just Dots and Just Caterpillars. I received the 2 Pack Just Dots from Lambie & Me for the purpose of this review. I made the mistake of opening the package in front of my three year old. The first words out of her mouth were, "Ohhh, it's so pretty. Is this for me?" I told her, "One was hers, and the other was Justin's." She started beaming. I told her that the blankets needed to be washed first. Before washing the swaddling blankets, I noticed that there was slight bleeding near some of the red circles on one of the blankets, but the blankets did not bleed after washing. I love how big they are: 47 X 47 inches. Perfect for swaddling my big baby. Plus, Charis is able to cover herself completely with it. The material is lightweight, but durable. It's perfect for summer. Justin is sometimes easily distracted when nursing, so I have occasionally used this as a cover. Some other uses for these blankets are a changing mat, stroller cover, and an indoor picnic blanket. 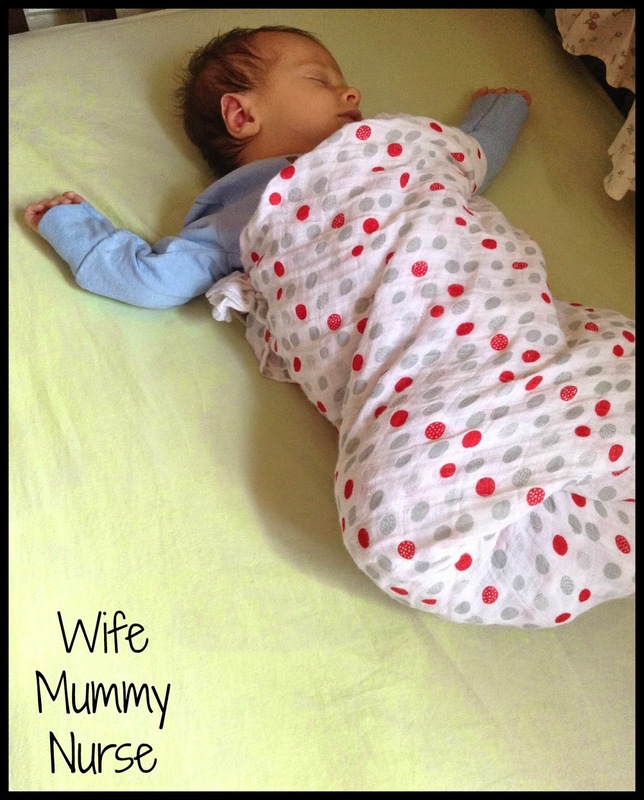 How do you use swaddling blankets? 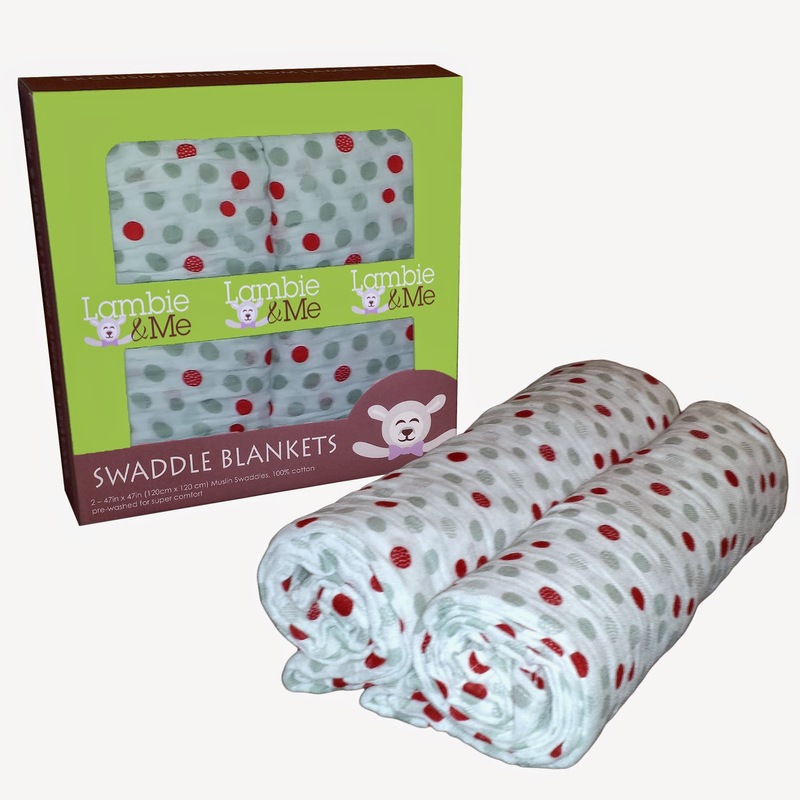 Enter via Rafflecopter to win Lambie & Me swaddling blankets for yourself.